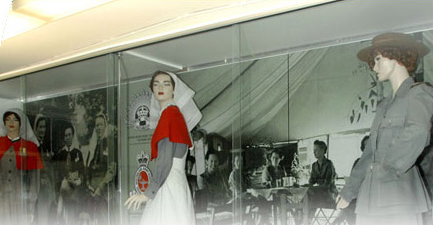 Named in honour of Mrs Ethel ‘Stalky’ Lane AM MBE, the Museum’s main objective is to collect, preserve, display and research objects, material and information relating to Australian Military Nursing and the early history of Concord Repatriation General Hospital. The Museum has an interesting collection of nursing uniforms dating to the Boer War. There is also a document collection consisting of diaries, personal papers, photographs and memorabilia of military nurses from the 1890s through to the Vietnam War. The Museum is located adjacent to the Hospital Green. Find us by using the Hospital Rd entry, via Gate 2.